Accounting Seed is a cloud-based accounting software that fully integrates with Salesforce. Its core components include a general ledger, project accounting, and enterprise resource planning. In this article, we cover user reviews and pricing. Ready to get started with Accounting Seed? Request a demo. Users who gave Accounting Seed a positive review like that the software offers easy-to-use accounting solutions for businesses. Some also mentioned that its straightforward design makes it easy for new accounting professionals and small businesses to navigate. One user who reviewed Accounting Seed on G2 Crowd said that its training resources are easy to understand from both a user and admin’s points of view. He added that the software enables his team to automate reports, which saves them plenty of time and resources. Users who gave Accounting Seed a negative review said that the software has limited features, possibly because it is a relatively small company. Others also noted that it is expensive compared to similar products. 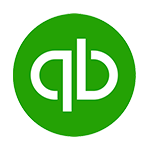 One user who reviewed Accounting Seed on GetApp commented that there’s not much her accounting firm can do with the software. She suggested that it might be better to spend a little more for another product if you need comprehensive features. Accounting Seed offers two plans: Per User ($55/month) and Organization ($285/month or $250/month when paid annually). The main difference between the plans is the target user. Ready to get started with Accounting Seed? Request a demo. 10 Best Accounting Software for Small Businesses 2019 — Read our buyer’s guide for a comparison of the top three accounting software for small businesses. We compared QuickBooks Online vs. 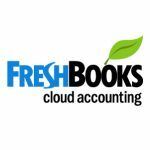 Wave vs. FreshBooks to give you an idea of which will work best for your needs. How many companies can Accounting Seed’s Organization plan accommodate? 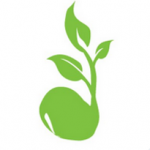 Accounting Seed’s Organization plan accommodates one company. Users will need to pay $50 per month for every additional company. Will Accounting Seed charge for adoption support? Yes. Accounting Seed charges for additional services to assist users before going live. Integration consulting costs $210 per hour, while product consulting is priced at $185 per hour. Not sure if Accounting Seed is the right fit for you? Read our reviews of all top accounting software providers or check out one of these three Accounting Seed competitors. Tony Zork and the Accounting Seed team are consummate professionals in BOTH accounting and SalesForce Integration. Moreover, they understand business process modelling and the practice of Use Cases to derive organizational requirements. WorldVenture is implementing SalesForce from “Wall to Wall” with everything from Facilities Management to Human Resources to Accounting. That means our Partner, Accounting Seed, needed to work with other firms in order to take their Asset Management Depreciation Schedules and turn them in to an Accounting Seed Journal Entry for each period. Tony and his team were totally on board that integration is more than silo applications – it is the entire business process eco-system. The best part of peeling away decades of process and implementation practices, is that Tony and his team have led us through the FAFSA principles of accounting and enabled us to re-engineer our business processes so that we are not just using cloud software, but that we are optimizing our process and doing it in accord with current accounting standards. At WorldVenture, we are so excited with our SalesForce implementation because we have chosen firms, like Accounting Seed, that care about our success, that actually enjoy interacting with their clients and that learn new ways to adapt and expand their product offering based on how their customers actually use it. Those are the firms that we are selecting. Those are the firms that will ultimately be here long after the “big boys” have blown the advertising budget pushing cookie cutter one size fits all implementations with huge price tags. Arrrg. We wish there was the ability to create a re-occurring cash disbursement – similar to the feature they have in the re-occurring accounts payable. Not all of our payouts are accounts payable, some are just monthly disbursements – like utility bills. My primary counsel to people who inquire is that the Software changes are the easiest part of the conversion. When you have been around as long as we have (75 years) and you have had established processes that have not changed in decades (for us, 40 years) – then the HARD PART is the necessary “re-think” of the business process analysis. We formed teams to reevaluate everything we were doing and to define (and in some cases retain) the process so it was relevant to the way we operate today. This brings the organization together and it “cleans up” the process and the historical “work rounds” that may have existed. The downside is that this step takes time, must have leadership buy-in and ultimately results in workflow and cultural changes within the organization. I did not realize how important it would be to spend the time to reevaluate our internal business processes before implementing the new software platform. We have improved a lot of functions once we sit down and evaluated what we really wanted to accomplish rather than just doing what we have always done. Well worth the time and effort.